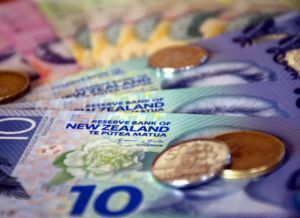 New Zealand’s official cash rate remains at 1.75%, the Reserve Bank announced today (9 February) – with no signal of a cut or increase in the near future. This is New Zealand’s first OCR announcement for 2017 and follows three cash rate cuts – totalling 75 basis points – in 2016. The bank suggests the OCR may not increase for the next two years, but has built in one possible increase in this time. 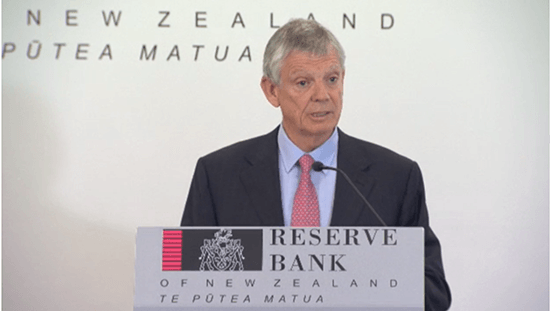 It is currently operating on a “neutral bias”; the chance of an increase or a decrease to the cash rate is “evenly balanced”, Reserve Bank Governor Graeme Wheeler said in a media conference following the announcement. “The [economic] outlook remains positive, supported by ongoing monetary policy, strong population growth, increased household spending and rising construction activity,” Mr Wheeler says in a statement. But monetary policy will be, “accommodative for a considerable period,” he says. On the other hand, New Zealand’s dollar exchange rate has continued to increase and this is unsustainable for balanced growth. The exchange rate needs to come down, Mr Wheeler says. There is also uncertainty around future consumption in New Zealand, he says. 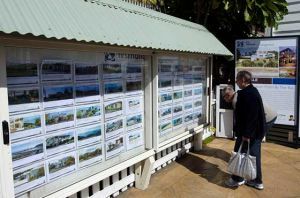 The Reserve Bank welcomes easing of house price inflation, which it says has been influenced by tighter loan-to-value ratio rules and higher mortgage rates. But the continued imbalance between supply and demand in housing means this easing may not continue, he says. Increased supply is needed to resolve housing issues, Mr Wheeler says, adding housing permits are at an 11-year high. Inflation is within the 1% to 3% target band, largely through a spike in oil prices, and, in the longer term, is expected to stay “well-anchored” at 2%. But, internationally, the economic outlook is uncertain. New Zealand’s monetary policy may have to be adjusted to reflect that, Mr Wheeler says. Global uncertainty primarily follows the start of Donald Trump’s US presidency, but also possible flow-on effects from Brexit and China’s debt position, he says. Canstar general manager Jose George says RBNZ’s decision to hold the OCR rate at 1.75% is in line with expectations. Canstar expects home loan rates will continue to increase in 2017 as lenders aim to pass on the pressures of overseas funding costs, while still retaining a margin. Mr George recommends home loan customers review their budgets and “stress test” their ability to make repayments, using online calculators, to ensure they can afford any potential increases to home loan repayments. For first home buyers or first-time investors, the early signs of a market slowdown are encouraging, but this could be offset by higher home loan repayments, Mr George warns. Mr Wheeler notes fixed interest mortgage rates have been increasing, with the volume of lending exceeding deposit growth and, in turn, lenders having to seek funds offshore. The future is also unclear for savers. “There have been small, sporadic increases to savings rates in recent months but, in general, these increases have not been sustained,” Mr George says. Recent Canstar research shows term deposit rates have remained largely static, despite a total 75 basis point cut to the OCR in 2016. “Savers should shop around to get the best available rates, or even consider splitting their investment across a number of options to get a maximum benefit,” Mr George says. Meanwhile, Mr Wheeler has announced he is not seeking a second term. Deputy Governor Grant Spencer will step in as interim Governor for six months when Mr Wheeler steps down on 26 September. Mr Wheeler plans to resume his business and board work in Europe and Australasia. The next OCR announcement is on 23 March.